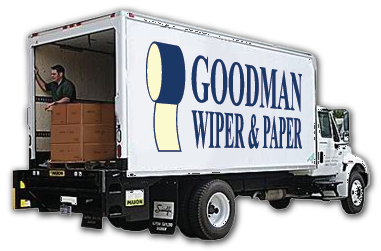 Goodman Wiper & Paper of Auburn, Maine, provides janitorial supplies including cleaning cloths from recycled old clothing. Shop with us for access to an extensive product line that includes towel and tissue dispensers, can liners, cleaning cloths, and skin care products. Our janitorial supply company is large enough to meet the needs of any business and small enough to offer the individualized care you deserve. Rest assured that we have everything you need to keep your business or office clean. 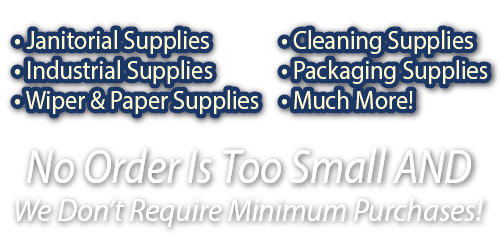 We proudly provide a vast array of janitorial supplies and can liners of all sizes. You have the opportunity to choose from a number of quality cleaning products to disinfect, freshen, and maintain the atmosphere of your workspace when you turn to us. Several types of towel and tissue dispensers are also available. These dispensers come in a variety of colors to perfectly match your existing decor, and you can choose from rip-off papers or stacked sheets. We also offer a line of skin care products and recycled cleaning cloths. We buy used clothing and turn them into cleaning and wiping cloths. To learn more about our janitorial supplies, just give us a call at (207) 784-5779! We are always happy to talk with customers about our pricing details, ordering information, and anything else you have questions about. We look forward to speaking with you! Hours of Operation: Mon – Fri, 7:00 a.m. – 5:00 p.m.